Before start Development of App, writing Mobile App Specification is an important strategy for every developer or app development company. Mobile app development platform- confirmed! 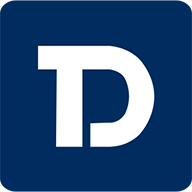 Mobile app development company- finalized! Mobile app development budget- set aside! Mobile app development specification- ??? Yes, this is the situation with nearly every new venture and that becomes the reason for their failure. Even some of, the well-established enterprises don’t know how to precisely write the app specification. In some cases, they completely miss out on this aspect because they are unaware of its adverse effects. What is mobile app specification? The app specification defines the potential scope of the app and the functionalities to be built from scratch. To formalize an idea, the set of requirements is documented and hand over to the developer’s team that illustrates what are the features and functions to build under the contract. Also, if businesses demand extra features to build and integrate into the app, the team can easily find out whether they are under or beyond the scope.This way, it ensures that both development team and business are sailing in the same boat. Well, this is okay. But, one question certainly is at the back of your mind that’s- why the hell should you care and spend so much time in writing a specification. Right? Take a sneak peek inside – Why a mobile app specification is essential? Mr. John was looking for a development team that can translate their idea into an amazing app and asks for the quote to check whether outsourcing the project is under the budget or not. No company can give the price immediately.The problem is the scope of every app is vast and varied, and just an app idea won’t specify how much efforts will be included in the app development. Additionally, if the development starts on the basis of app description, the app developed will definitely not be a replica of what you want. Why? Because you have not provided enough details in the app description. It’s sad! All the efforts, time and money invested, go in the vain. Here, drafting a mobile app specification comes to the rescue. The specification prevents this from happening and offers a plethora of advantages. It vividly showcases the focus of the app development project to app developers. It easily let the developers find out the size of the project to undertake and provide quotes in the comparatively less time. The project never goes under the conflict that the feature to add was not under the scope. Thus, saving you unavoidable last-minute budget allocation for creepy developers. Gives a complete understanding of what features and functionalities to include in the app, thereby the development journey from ideation to development get executed painlessly. The appropriateness of the document gives a feel how the app should be. With exact knowledge and understanding of the app idea, the team can make suggestions to enrich the app functionalities and workflow. The advantages of writing specification are overwhelming. It indicates the long essay which completely elaborates the app is all-imperative. 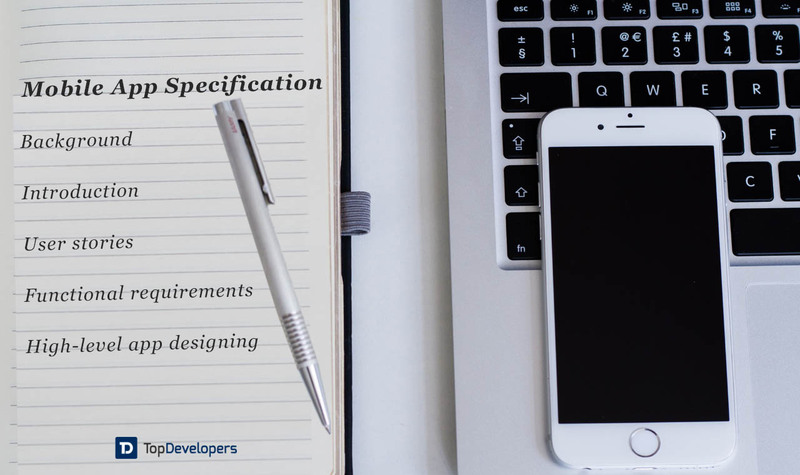 There is a common approach to write an app specification document to define the set of app requirements. However, the apps specification writing is not about penning down all the features haphazardly in a document, instead, there is a structure that should be followed to get the best results. Writing app specification won’t alleviate the need for communicating the app idea to the development team in brief. Discussing the vitals of the app, target audience and revenue model with the team is the first foray into the app development. The story behind the scene helps the team in understanding the project, analyze business module, and kick off the app development. It’s the most important part of the document that introduces the core of app idea to the team in writing. Basically, at first, for a flying start, describe the purpose, scope, technologies to be used in app development, and the platform it is supposed to run and the similar applications (if exists). Also, specify the terms you have used throughout the requirement document and what do they exactly mean. Prior to jumping into the app features and functional requirements, you must specify who is your app for. Knowing the app audience help in designing the user interface accordingly so that the app becomes accessible, intuitive, visually appealing and offer the best experiences. After enlisting the types of the users, different features can be listed for a particular type of users that they can access or do with the application, which in turn aids in creating the user stories accordingly. For instance: In a mobile application, both the end-users and administrator have different registration and login pattern. The end user can sign in/up with email, mobile number or Facebook, while the administrator can only sign in with the email ID and password. Also, the screen access varies based on the type of the users. In this section, the complete mobile app requirements are described that showcases what the app can do and how it can do the same. You can begin with displaying wireframes and then elaborating the screen in detail such as mandatory fields, switchers’ default position, action to trigger when a button is tapped, the screen to appear when a link is clicked, and so forth. The textual and visual description gives the proper understanding of what kind of user interface and user experience you want to engineer with the app. However, the functional specification is a simple and one-sentence longer answer, but it must be described rightly as a single error in portraying, can change the meaning of the requirement and functions are created which you don’t want in the application. Plus, the estimated cost of mobile app development is decided on the basis of features, so set the function list in a manner that you won’t go out of the budget. The last, but not least, here comes the technology stack which is imperative to define for front-end and backend. Thereafter comes creating the database schema to throw the light over all the components in the system and display the tables and how they are interrelated in the app. A decision to make for the data structure that’s whether it already exists or developers need to create the one because in some of the apps the information is stored in the database. Also, it should be explicitly defined what data should be saved or lost when users close the app, and where the data is going to be saved in the local database, cloud or server. The clear specification of third-party integrations and absolute infrastructure support is necessary for the best performance and robust security. The maintenance plan can be included, if needed, depending on the changes the app require with time. Besides, the comments, extra information, questions, contact detail and preferred communication mode can be added. The well-developed, detailed mobile app specification helps you deliver the app information and make the team correlate with the app vision appropriately. Give time to properly create the specification document as it will be the base of project cost estimation. Focus just on the necessary things. Now, you have gained the rich insights into writing mobile app specification with the user story, wireframes, functional requirements and high-level app designing, which lays the groundwork for your future endeavors selecting among the best mobile app development companies. That’s it! Go ahead and start writing the specs for your app to not miss a single thing.